She advocates for the growth of cultural literacy and appreciation of literature by publishing Texas writers (IN A LOUD KITCHEN, 1998, and NORTH TEXAS NERUDA LOVE, 2005) as a small press publisher (Tejana Tongue Press). She has specifically sought to unify, mentor, and empower diverse communities (particularly women and youth) in Austin, San Antonio, Houston, Santa Fe, Dallas, and Fort Worth since 1988. 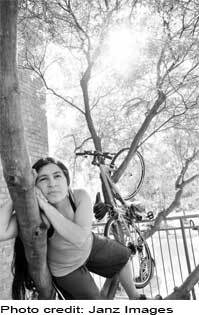 As an award-winning ("Best Poet of Austin" and "1st Runner-Up, Hispanic Playwright's Festival of Fort Worth") poet and playwright, Tammy has performed her work in 10 U.S. states, and abroad in Mexico and Nepal. The Guild Complex (Chicago), Wellesley College, and Galeria de la Raza (San Francisco) are but a few of the places she has been invited to perform as a featured artist. Tammy is also featured in the award-winning PBS documentary "Voices from Texas", about Chicano Texas poets. As “cutting edge” artist and “avant-garde” Chicana writer (as quoted by critics and the press, as well as the Chicano/a literary vanguard), Tammy very much wants to bring performance innovations and national attention to Texas as a place where creative literary excellence abounds. In Fort Worth, Tammy has brought multimedia elements to the performance of literature--an exciting and bold evolution in the presentation of poetry and spoken word. Two recent examples of such programming include the “Besitos Para Ti” (2003) Valentine’s Day poetry concert and the multimedia spoken word tribute “Siempre, Neruda” (2003)--based on poetry by Pablo Neruda--both of which premiered in Fort Worth. As artistic coordinator and director of such spoken word/poetry programs, Tammy draws upon her familiarity with new trends and experimental genres which have not yet been presented in Texas. Currently based in North Texas, Tammy has been recently published in TERRA FIRMA (Agave Noir Press: Austin) and BICYCLE LOVE (Breakaway Books: New York). Her work also appears in the groundbreaking anthology HECHO EN TEJAS (University of New Mexico Press), and she has poems forthcoming in NEWBORDER: An Anthology of Texas/Mexico Border Writing (Texas A&M Press), THE BEATEST STATE IN THE UNION: An Anthology of Beat Texas Writers (UT Press), and the "What's In A Nombre?" issue of PHATI'TUDE.